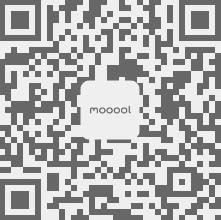 Thanks Light Earth Designs for authorizing the publication of the project on mooool, Text description provided by Light Earth Designs. Light Earth Designs：‘Sustainable Shells’ – Timbrel vaulting using soil stabilised tiles in a developing world context was recently been awarded winner of the Built environment category at the 2010 Earth Awards in recognition of the potential future positive impact of this exciting innovation on people’s lives in the developing world. 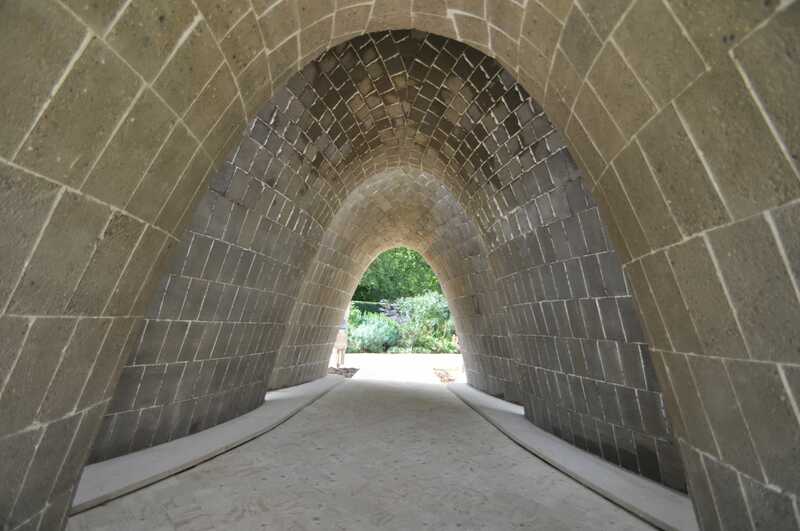 The technology minimises the cost and high embodied energy of imported materials and can empower local unskilled labourers by engaging them in both the production of the tiles and the construction of the vaults. 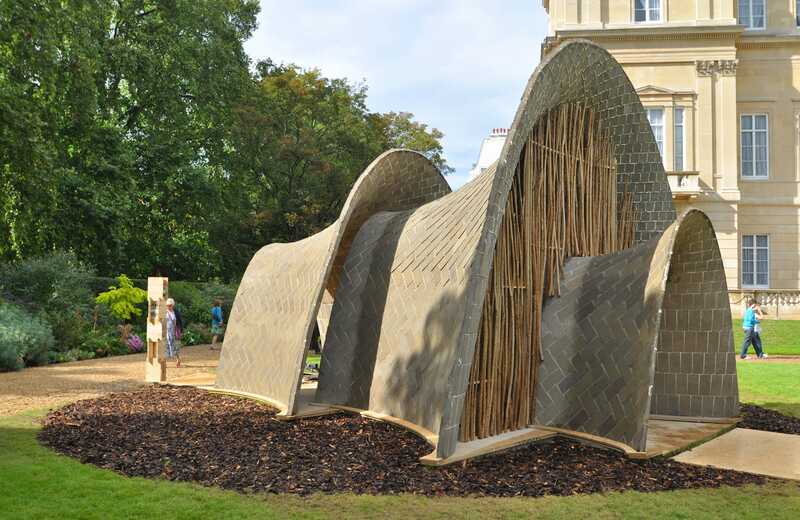 As part of the Earth Awards and the ‘Start Festival – A Garden Party to Make a Difference ’ (sponsored by the Prince of Wales), the practice constructed a small vaulted Earth tiled pavilion in the grounds of Lancaster House, next door to St James Palace in central London. 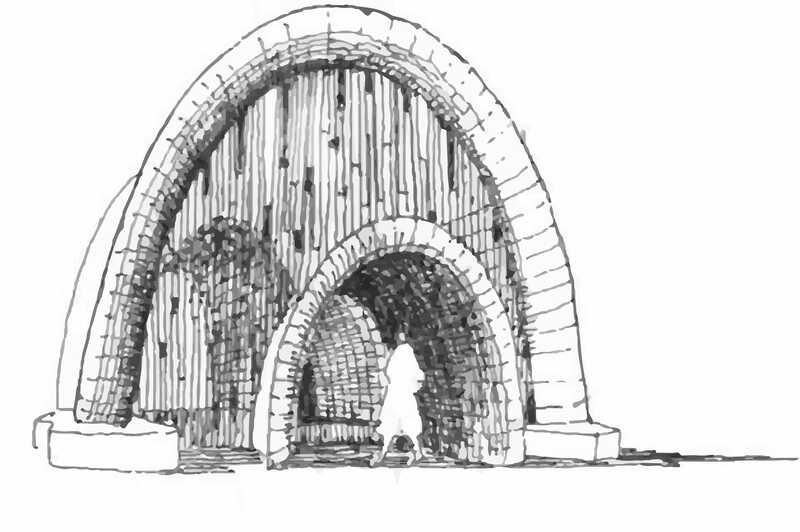 The pavilion consisted of three simple overlapping catenary vaults of varying heights, each stiffened in plan and section with an elegant flare. 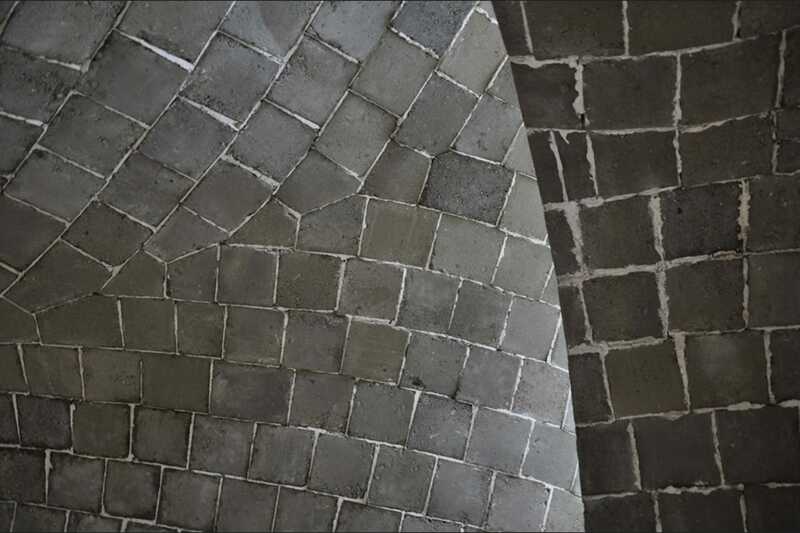 The vaults were built in only 14 days, using hand pressed tiles made out of waste soil from a London building site. Other materials were sourced to have minimal environmental impact, and to reduce waste. 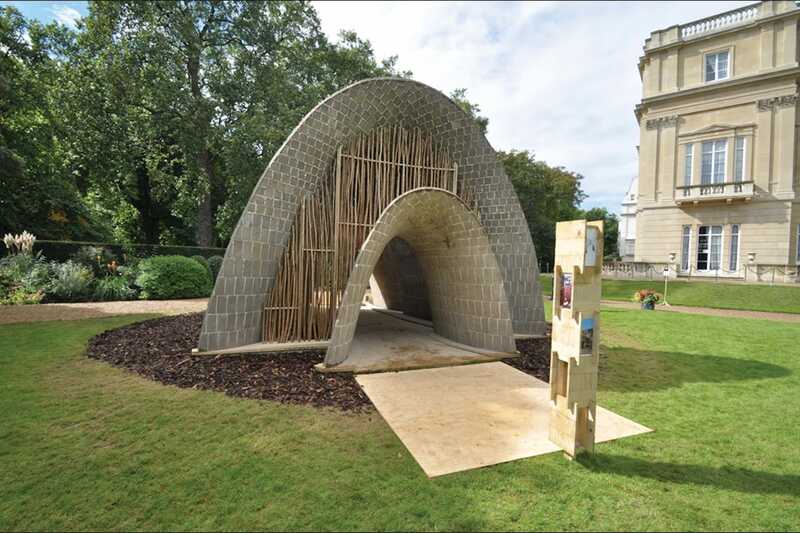 The plywood blanks used to form the tiles were laid to form the pavilion flooring and stacked to create exhibition stands. A slatted timber screen, designed to filter the low angle morning light was constructed from green sweet chestnut coppice cuttings. Visitors are introduced to the technology through an exhibit of the hand press, the soil and the resulting earth tiles. The plywood exhibition stands illustrate the build process on entrance and show examples of buildings or future projects using the technology on exit. 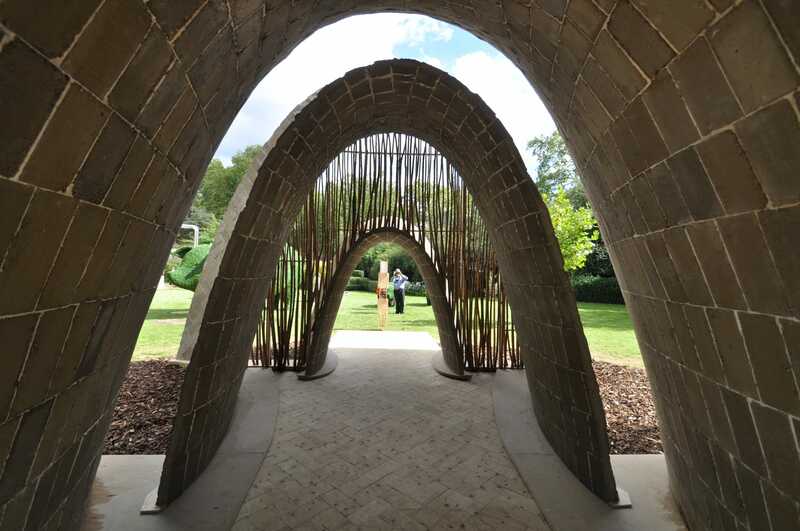 Visitors walk through a serene space exiting though a low vault where they can touch and feel the quality of the soil finish. In this high profile context, we demonstrated just how economic, beautiful and elegant the results of this simple technology can be.